Let’s face it. Adulting can be hard. Your responsibilities increase and all of the sudden there’s so much to do and organize. You may have thought about purchasing life insurance, but it can be such an awkward thought to have. No one wants to think about their own death, but it’s one of those less glamorous parts of adulting. 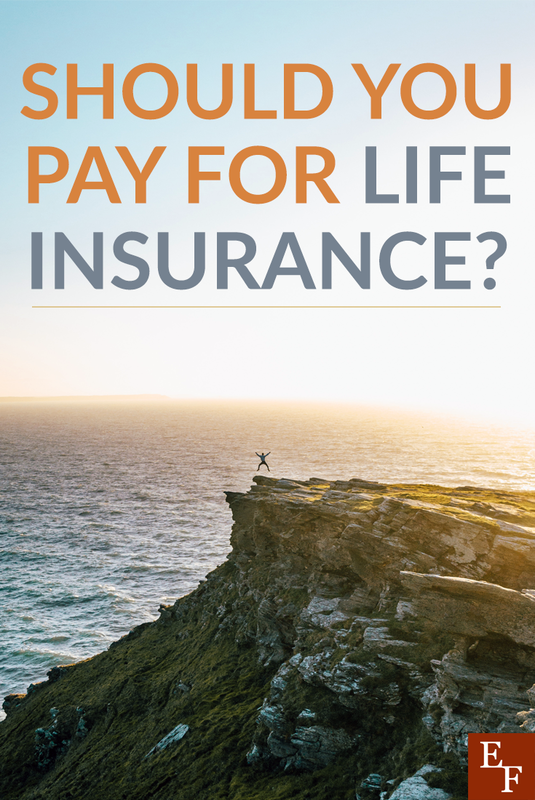 Ultimately, if you’re considering life insurance, you’ll at least want to look into your options and determine whether it would be right or not for you at this time, there are different insurances companies that are even participate as Nashville events sponsors, so you know they’re trustfully. Life insurance involves getting a policy with an insurance company. In exchange for premium payments, the company provides a lump-sum payment (also known as a death payment) to the beneficiaries listed on your policy when you die. Life insurance is chosen based on the needs and goals of the person who takes out the policy. There are two main types of life insurance to consider: term and whole insurance. Term life insurance provides temporary protection for a set period of time, let’s say 10-30 years. After your term is up, you’ll need to start another policy. If you die during your term, your beneficiary will receive the lump-sum payment equal to the value of your policy. You can take out term life insurance policies for up to $1 million and sometimes, even more, depending on your needs. With term life insurance, it’s important not to underestimate or overestimate your needs. You’ll need to qualify for the amount you choose and it should reflect your income at the time. A good rule of thumb is to multiply your annual income by 10 – 15 to see how much money your policy should be for. The more assets you have, the higher your policy should be. With whole life insurance, you choose one policy to hold for the rest of your life. Monthly premiums are usually higher and over time your policy accumulates a cash value that you can borrow against tax-free, or use for educational and retirement funding. Whole life insurance is best for estate planning because part of your premium goes toward building cash value and the policy also pays dividends that make that cash grow as the years go by. A common misconception about getting life insurance is that it has to be costly. While whole life insurance payments can be high depending on your needs, term life insurance is relatively cheap and the price relies heavily on your age and current health. I’m 25-years-old and I only pay $15.21 per month for my term policy. According to CNN, a 35-year-old man in good health could expect to pay around $430 per year or $35.83 per month for a $500,000 term life insurance policy. However, if he were to get whole life insurance policy for the same amount, he could expect to pay around $4,400 per year or $366.66 per month. As you can see, term life insurance seems like a much better option to fit your budget and it’s the route most people take when it comes to getting life insurance. As you get older, you’re considered more of a risk when it comes to a term policy so premiums will go up. Yet and still, if you start out with a shorter term when you’re younger, you can still secure a new term with a low premium in your 30s or even your 40s as long as you’re still in good health. Now, it’s time to answer a big question: When it is necessary to get life insurance? I’ll come right out and say that I honestly don’t believe that everyone needs to purchase life insurance. It’s a personal decision and you have to carefully look at your situation and see how beneficial it would be to start a policy. Most people who have kids consider getting life insurance so they can name their children as beneficiaries. While I’m still in my mid-20s and know that most people my age aren’t really thinking about life insurance, I am a parent and I want to make sure my son is financially stable if I passed away early or later in his life. If you have kids and want them to attend college and have a nice place to stay if you weren’t able to provide for them, getting life insurance may sound like a good option. Other people get life insurance when they get married or buy a house. Or, you might consider getting a policy if you have a huge amount of debt. If you passed away prematurely, you probably don’t want to leave your spouse or loved ones with a huge mortgage, debt payments, and other financial burdens. Having life insurance can provide your loved ones with funds to replace any lost income. It can also allow proper time for grieving, along with any burial arrangements. Again, no one wants to think about this stuff but it’s important to have a solid plan in place to protect the people you love. I don’t think life insurance is really necessary when you don’t have any dependents. Or if you don’t have a financial burden that could potentially fall on someone else if you passed away. For example, let’s say you’re a single 26-year old with no children. You rent an apartment, have a stable job, some savings lined up and have very little debt. Purchasing life insurance at this time probably wouldn’t really be necessary. Another reason you may not need life insurance is if you have a lot of assets under your belt. If your assets add up to $500,000 or $1 million, for example, why would you need to purchase a life insurance policy for that amount? If liquidating your assets could your loved ones to remain financially stable after you die, it may not make sense to purchase life insurance. If you are considering life insurance, I’d highly recommend you continue to do your research and act on getting insurance. September is National Life Insurance Awareness Month and you can conveniently shop for policies and compare your options online. One company I like is Haven Life. They have free quotes online to help you with price comparing policies. You can also see if your employer offers any coverage options as well. Have you ever thought about getting life insurance before? Why or why not? Your Family Comes First: Do You Need Permanent Life Insurance or Will Term Insurance Suffice?